The “Transfiguration” (“Prieobrazhenie”) Sochi United Methodist Church has been renting the audience for Sunday worships for a month and a half already. 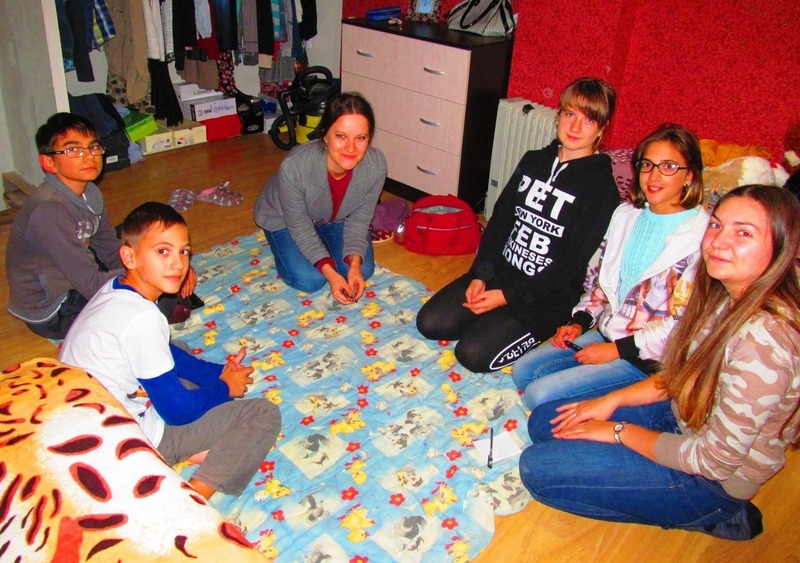 We’d like to share the joy with you, because for two years in a row we’d been gathering in our pastor Nadezhda’s apartment and realized one thing – we need to find a new accommodation so that new people could come. New people, as willing as they could be, would be unlikely to come to an apartment worship service. We started praying for some rental option or buying our own building. My husband Dmitry’s good friend, a biker and a business-centre director (as well as a fan of his preaching) offered us a decent audience hall at a reasonable price. During this period (since October, 1st) 10 totally new people (among them two bikers), our co-workers and friends have become church attendants. Now we have an opportunity to summon a worship band for rehearsals on Saturdays, and our biker-friend Ivan now assisting us in worship service – playing the guitar and singing. Julia, my coworker, offered her arts skills in organizing a Christmas party. She’s a good decorator. Maria, who moved from Perm to Sochi, supported the idea of organizing teens’ ministry and we held the event called Hallelujah where we told the teens about the dark side of Halloween, which is so popular among the youth. Our most faithful and devoted church goer is our coworker, Sergey, who calls himself an atheist, though attending each and every worship service. He never has to be reminded of anything – 12 p.m. he’ll be there in the worship hall every Sunday. Due to him, we now have a wonderful video about our 2nd bike quest in Kerch, and Sergey is the editor. He’s the one to have created a wonderful worship service booklet, he’s also in charge of making different banners and pictures for the social media (see the examples below). Thanks to Sergey we also started a new column “questions” in the church group in the social media. He’s very creative in asking questions and we’re all eager to find the answers. It’s crucial that we as Christians could answer the questions of the people seeking the truth. That’s the sample of the questions asked, “How did the Great Flood take place? Where did the water come from and how it evaporated?” Answering the questions, we ourselves stand firm in our faith! In the passed month we had two celebrations, one of the being devoted to The Thanksgiving Day (The Reaping Day), the other one was dedicated to the Reformation 500th Anniversary. For the Reaping Day we decorated the hall beautifully and sent out about 200 invitations through the social media. After the worship service we had a big feast, everyone had some treat with them. For the Reformation Day we had guests – Yelena, South District Superintentant’s assistant, and her daughter Masha. Yelena shared an inspiring word about the importance of a permanent renewal and reformation of our soul. During the tea break we studied some of Martin Luther’s statements, which were used for the hall decoration. In November, 12th a guest of “Transfiguration” Sochi UMC was a seminary student Natalia Zaytseva. She also invited her Sochi friend to attend the worship service. It’s a great joy for us, when new people come to the worship service. It inspires and refreshes the congregation. Glory to our Lord!